Arkansas is in the middle of the U.S., centered between Canada and Mexico. This location means it is positioned to reach millions of people easily and efficiently. As home to more than 141 international corporations, the state is a melting pot of different industries. These major industries include: advanced food manufacturing and packaging; aerospace and aviation; biosciences; data centers; distribution and logistics; firearms and ammunition; paper and timber products; regional headquarters; smart grid technologies; software development and data management; steel production; sustainable building products and fixture; technical support services; transportation equipment manufacturing; and Wal-Mart suppliers. The entrepreneurial mindset in Arkansas has made the state a center of international commerce. 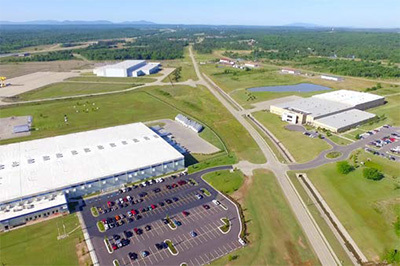 Start-up hubs like Arkansas Made, Arkansas Innovation Hub and Innovate Arkansas bridge the gap between innovation and commercialization, while accelerators like The ARK Challenge are funding and supporting new tech companies. A recent report from the U.S. Department of Labor’s Bureau of Labor Statistics shows that Arkansas added 32,700 non-farm positions to the state’s economy last year. With continued job growth and an all-time low unemployment rate of 3.4 percent, Arkansas is ranked among some of the best-performing states when it comes to job creation. Bank of the Ozarks recently announced that it plans to build a new 247,000-square-foot corporate headquarters in Little Rock for initial development and future expansion to support the bank’s continued growth. Approximately 500 employees are expected to work in the new building when construction is complete in late 2019 or early 2020, with capacity to eventually accommodate 800 to 900 employees. Bank of the Ozarks is the largest bank headquartered in Arkansas, and it is among the top 60 banks in the U.S. based on asset size. Arkansas Governor Asa Hutchinson recently announced the completion of a yearlong, $1.2 million virtual geographic information systems (GIS) mapping venture, the Arkansas GIS Project. The program involves a digital map that details each of the state’s 75 counties with important information about roads, new developments and other infrastructure projects through aerial images. County officials have the most up-to-date aerial maps of Arkansas, which will better prepare counties for future infrastructure and economic development projects. The maps will also provide for faster response times from local law enforcement and emergency personnel. Chaffee Crossing is a thriving community in western Arkansas. From 1997 to 2017, more than $1.5 billion in capital investments resulted in 15 corporate and regional headquarters, generating more than 3,500 jobs, 24 residential developments, and numerous amenities. The East Arkansas Crossroads Coalition is an alliance of eight counties in eastern Arkansas, which is also known as the Delta. The area has convenient access to two Interstates 40 and 55 — an abundance of water thanks to the Mississippi River Valley alluvial aquifier, inexpensive land, competitively priced utilities, and access to multiple ports. The area can also be reached by approximately 40 percent of the United States population within just one day’s drive. The right-to-work state has the numbers to prove it’s serious about providing the ultimate business climate possible. The state, O’Mell notes, has the second highest percentage of manufacturing employment in the south, the seventh lowest cost of doing business, the second lowest cost of living in the nation, and an impressive number of Fortune 500 companies headquartered in the state. 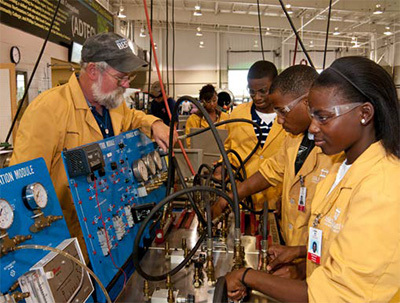 The state also has the 11th best and most educated workforce in the country, and its nationally recognized and award winning workforce training model, Arkansas Delta Training and Education Consortium (ADTEC), allows businesses to specify their workforce needs and the local community colleges are equipped to quickly fulfill the training requirements within the existing workforce capacity. 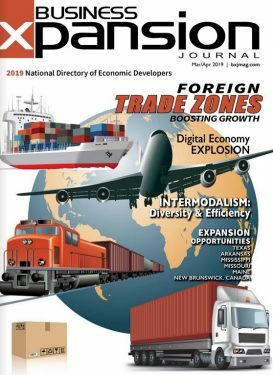 Not surprisingly, the region is home to numerous industries, from major transportation and distribution hubs to technically advanced manufacturing facilities. The area’s principal industries include manufacturing, transportation and logistics, warehousing and distribution, agriculture and aquaculture, food processing, tourism, automotive assembly and suppliers, aerospace technology, and renewable energy. In addition, the region — specifically Mississippi County — has become the leading steel producing region in the United States. Long before its grand reinvention, Mississippi County was flooded in marshland. Across the vast, unbroken stretches of cultivated fields, the blessings of old swamps remain. The northeastern outcrop of Arkansas, the County is bordered (and named) by the Mississippi River, and sits near the crest of the Mississippi Alluvial Plain. This low-lying valley (now properly drained) has emerged as one of the world’s most agriculturally prolific regions. The County has been a global leader in cotton production, and still maintains a strong agricultural base, primarily in rice, corn, soybeans, and yes – good ol’ cotton. But today, steel is king in Mississippi County – the second largest steel-producing county nationwide – and more than 11,000 manufacturing jobs serve in varied and supportive industries. Over the last decade, demand for these types of quality jobs has increased by over 40 percent. In the last few years, steel corporations NUCOR and Big River Steel have invested roughly $1.5 billion into the area. Already in 2018, Union Partners (Metals & Logistics) Corporation has announced construction of its new facility in Osceola, to work collaboratively with Big River Steel, bringing together the most advanced innovations in industry technology. Of cultural interest, at least 800 archaeological sites can be found in the County. Blytheville is home to a 1930s-era Greyhound Bus Station, one of only three still standing. The Dyess community, established by FDR during the Great Depression, was a planned, agrarian township of 500 farms, tended by Arkansas sharecroppers and tenant farmers. 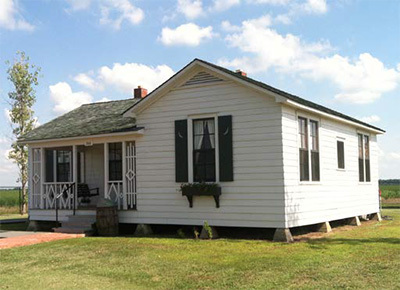 This tiny town is best known as the childhood home of Johnny Cash; tours of the house and museum are popular among country music fans. For the outdoorsmen in the area, fishing, deer hunting and duck hunting are always enjoyable.